We began badge making in 1969 and have continued a family ownership of the company ever since. 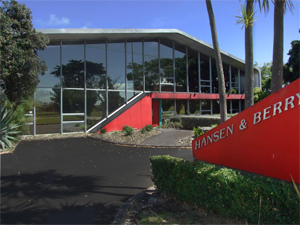 We were in Onehunga, Auckland, for our first eleven years, beginning with a staff of three. All products were made by hand, with the aid of some basic machinery; the process was very labour intensive. Also it was a rather technical process, as metals had to be heated to correct temperatures, and the enamel colour infils were carefully fired to various temperatures, depending on the colours. At the right temperature, the glass enamel fused to a hard permanent finish. While hard enamel is still available today, the products are very costly. Normally, synthetic colours are used today. These are easier to process but still result in vibrant and exciting colours. Another rather technical process is the making of the die. All our metal products are stamped (as opposed to casting). Stamping entails pressing a metal such as brass or copper into an engraved and hardened steel die. This process allows excellent precision and reproduction of fine detail. A glance at our Products will show the range of skills we have with our wide range of applications, from complex medals such as Lodge jewels and presentation medals like the ITM Cup Rugby competition. We have made thousands of club and organisation badge products. A large product sector is our Name Badge division which produces a big volume of name and designation items in a quick turnaround time. Unlike normal badges, which are made of metal, our name badges are plastic, giving a colourful and durable product, which are worn using either a brooch pin or a magnet fitting.